Staring may not be polite, but it should definitely be expected. 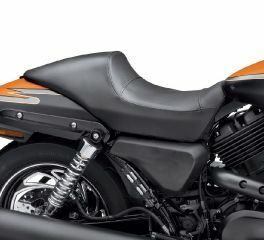 Featuring black-as-night accents, Café solo seat and 17" typhoon custom wheel. Express your bold, renegade attitude. The Dominion™ Collection lets you set your own styling direction. Express your bold, renegade attitude. 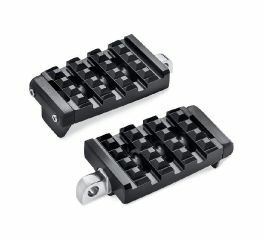 The Dominion Collection Foot Controls let you set your own styling direction. 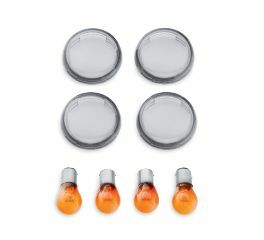 ***IMPORTANT*** - European bikes require separate purchase of two additional single filament amber bulbs part number: 69330-02. If in doubt please contact our customer service team with details of your bike. 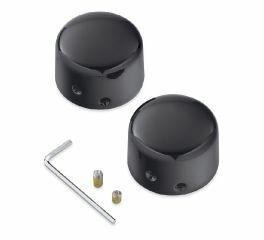 Once you select your wheel style, select the Wheel Installation Kit designed specifically for your motorcycle. An intense storm is brewing. 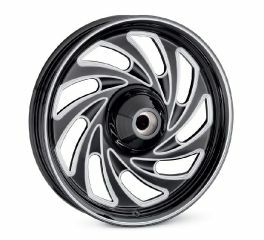 Nine arching spokes spin outward from the hub and blend seamlessly with the rim to add forward motion, even while standing still. 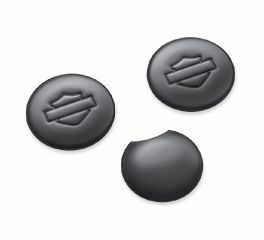 Once you select your wheel style, select the Wheel Installation Kit designed specifically for your motorcycle. 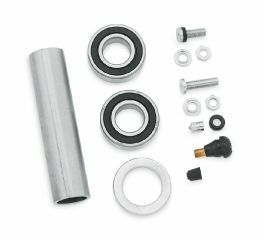 Kit includes the bearings and spacers required for installation. 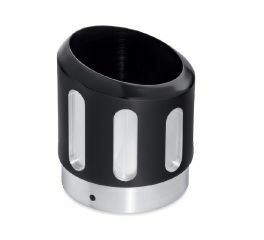 Cover the rear axle in style. 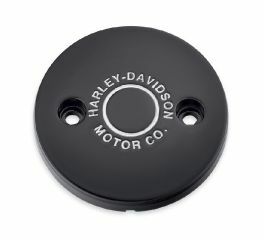 These smooth Axle Nut Covers look great and add the finishing touch to complete the custom look. There's something about the placement of the rider that makes the Cafe Solo Seat special. 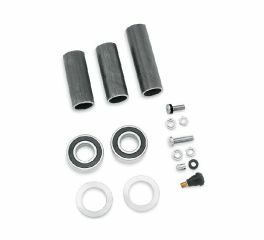 This Edge Cut End Cap kit allows you to personalize your Original Equipment mufflers. 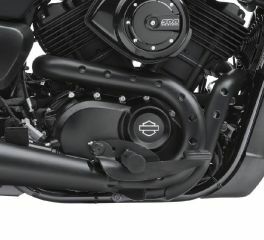 These custom heat shields feature a perforated "Buckshot" design to expose the head pipe for a raw rebellious look. 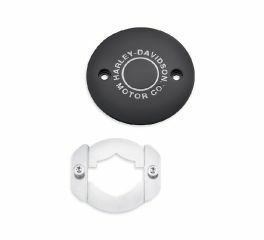 These exhaust shields are a perfect match for Original Equipment or Screamin Eagle mufflers, and complement the blacked out Harley-Davidson® Street model. 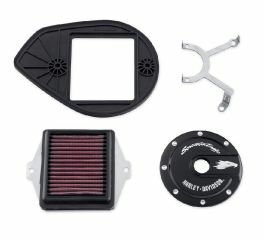 This kit provides a freer breathing capability to pump-up the power of your EFI-equipped motorcycle. 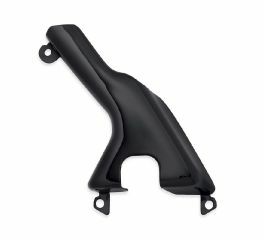 Add a finishing touch to the left side profile of the Harley-Davidson® Street motorcycle. 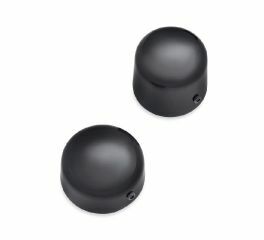 Highlighted with an embossed Bar & Shield logo, these smooth covers enhance the clean look of the upper triple tree. 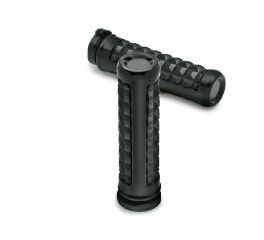 Conceal the swingarm pivot bolt in classic style. 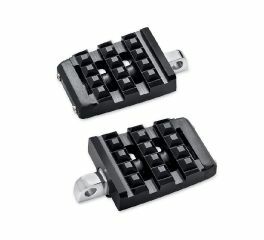 These self-adhesive rubber knee pads provide a touch of old school style. 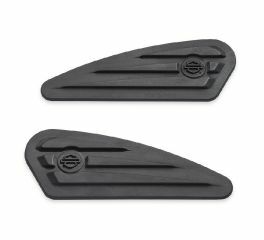 The rich black rubber pads feature tapered ribs and a raised Bar & Shield logo to protect the surfaces where your legs contact the tank. 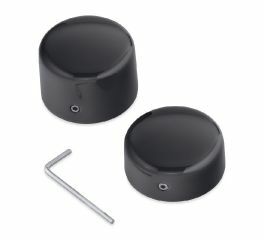 Compact pads measure 7.0" by 2.75"